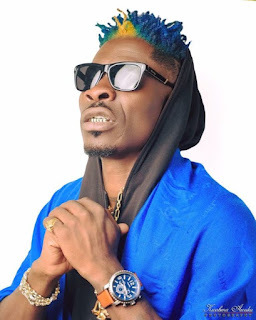 The dancehall king, Shatta Wale has lost his cool again, this time around, he’s on some pastors who have started giving prophecies that he would die. Shatta Wale in a short live video on his Facebook page sent out a strong warning to such pastors, who want to use their fake prophecies to make money out of him. Shatta Wale has proven indeed that, although he’s signed unto Zylofon Media, he’s still that same Shatta Wale we know him to be–Saying his mind regardless of who is involved. In the life video, he cautioned those fake pastors who are predicting his death to ensure that he dies before December as they are prophesying else, he would burn down churches in this country with his Shatta Movement empire. Shatta Wale who seemed peeved about these pastors scaring people with death, warned them not to try that on him as he’s being able to survive this life although several people have taken him to different places to kill him.